Do you like being empowered? And empowering others? Do you have experience of successfully leading a team? Are you passionate and creative? Are you flexible, adaptable and willing to learn? We’re excited to be able to offer you an opportunity to join our team! We’re looking for someone who loves working with people and has the ability to lead, inspire and empower those around them. Our successful candidate will be someone who is friendly and positive in their approach and attitude, with the energy to instil this in others. They will be able to work collaboratively with peers and colleagues, actively engaging with others and building strong working relationships. We also require someone with a business mind with the ability to make confident commercial decisions. 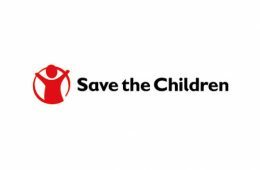 As a Shop Manager, we can offer you a challenging but enjoyable and hugely rewarding role with Save the Children. We will provide you with the right training, support and coaching you need in order to successfully manage and lead a team of volunteers in running the shop. Save the Children shops are at the heart of the community, providing a welcoming and positive environment for people to come together to volunteer, donate and shop. Byres Road is the heart and soul of Glasgow’s West End! It is considered the most cosmopolitan and eclectic street in the city with an exciting mix of restaurants, coffee houses, high street stores, independent fashion and lifestyle boutiques, book and vintage shops. It is near to Glasgow University, Botanic Gardens and Kelvingrove Art Gallery so is a popular destination for students, professionals and tourists. We’re looking for someone who can engage with that community, in particular to build our student customer and volunteer base and create the environment that our Byres Road Shop needs to thrive, generating much needed income for Save the Children. Does this excite you? Have you got what we’re looking for? If so, we’d love to hear from you. Working in more than 120 countries, Save the Children does whatever it takes to create breakthroughs in the way the world treats children. Together, we save children’s lives, fight for their rights and help them fulfil their potential. Our mission is to inspire breakthroughs in the way the world treats children and to achieve immediate and lasting change in their lives. If you share our mission, are passionate about making it happen and strongly believe you can contribute then join us and we’ll give you every opportunity to succeed. We look forward to hearing from you.